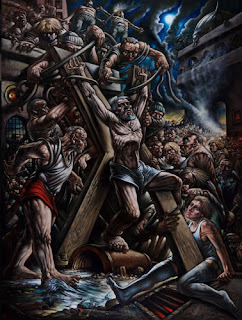 Peter Howson never took to the role of official war artist. The Glasgow-based painter had such a grim time during his trips to Bosnia in 1993 that he turned to drink, drugs and, latterly, religion. He created paintings of such brutality that even the hardened curators at the Imperial War Museum flinched. The army also struggled. An officer who showed him a shattered body in a shelled bus was frustrated when he failed to draw. Complaints were raised when he revealed scenes he had not witnessed; one of a woman with her head in a toilet being raped. It damaged his reputation. 'War art is in terminal decline,' wrote the war correspondent Patrick Bishop when Howson's show opened in 1994, and he seems to have been proved right. Steve McQueen, the Turner winner who has held the position since 2003, has been spitting about the army's refusal to help him. 'For the military you are just a token artist,' he told one interviewer. 'You're in the way.' After a brief, frustrating trip to Basra early on - 'I knew I'd be embedded with the troops, but I didn't imagine that meant I'd virtually have to stay in bed' - he has been barred from returning. The reason given is that it's too dangerous. Official war artists are appointed by the arts commission committee of the Imperial War Museum (IWM), which then relies on the military to help them. Now that McQueen's run is coming to an end they are considering whom to appoint next. 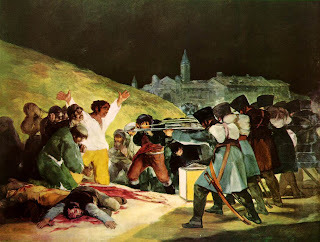 The tradition has seen artists revel in the glory of battle, searching for the heroism in the sacrifice and valour, or else, like Goya, lay out the savagery for more sensitive - or voyeuristic - eyes, or, like Picasso, damn it in a quiet voice. This all comes to mind because of a new exhibition at the National Army Museum in Chelsea. 'Helmand: The Soldiers' Story' lays out the experience of 16 Air Assault Brigade, in their equipment, recreated bunkers, video diaries and letters. The World Trade Centre is falling, with the sound turned down low, as you enter. Then, at the far end, and on the other side of the world, there is YouTube-style footage of combat, with soldiers firing machine guns and mortars and watching the bombs fall, to a soundtrack of Metallica's 'Enter Sandman', Razorlight's 'Somewhere Else' and Lostprophets' 'Rooftops'. I found it deeply affecting. It asks the question whether war art is necessary any longer when the soldiers themselves can produce such images. After all, it's hard not to have sympathy with the military authorities; artists can be egotistic, wildly off-message, and where's the advantage in having a Turner prize winner blown up? 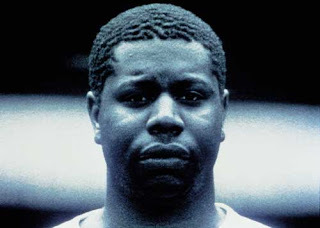 McQueen, starved of frontline experience, has created facsimiles of postage stamps that show the faces of the fallen. His plan - one that he is still fighting for - is for Royal Mail to give them value so that little pictures of the war dead can travel. It's a clever idea, but it's hardly surprising that Royal Mail has baulked. And at its heart, it has little to do with 'war art'. War art needs to come from the front. It has been exemplified by the likes of Paul Nash, who painted the empty fields of France during the First World War. 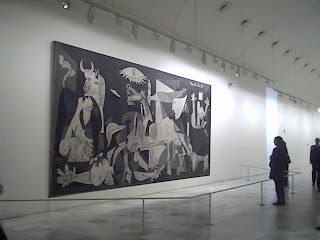 Then there is the painting that damned the 20th century, Picasso's Guernica, removing all lingering voyeurism from conflict. The images I saw in the Helmand exhibition may be very real, a line into the experiences of the soldiers, but they don't compare. The most resonant image from Iraq - the photograph of the hooded figure wired up by the American soldiers in Abu Ghraib has been compared to a Goya print - but that is reportage too. Artists meanwhile - as Nash, Picasso and Goya show - can, and do, add something new, and in the best cases it tends to be quiet and devastating. Few understand this power so much as the combatants themselves. It was the army that reinstated the role of official war artist in 1972, after a hiatus since the Second World War. But few powerful works are going to emerge from six days in Iraq, the total of McQueen's experience. Journalists are embedded. Reporters and photographers go out on patrol, living beside the troops, and seeing their experience close-up. The Guardian photographer Sean Smith has produced several extraordinary short films as a result of his experiences with the Americans. Our own Mark Townsend reports his experiences of being on the front line with British troops in Afghanistan in the news section this week. Artists must be allowed to take similar risks. If the access to conflict is increased, the empathy the artist feels for the soldiers will increase with it. By risking more, the army gets more, and we will get more. No one is ordering artists to the front. It is a choice, and they have a responsibility not to react like Howson. The authorities must be prepared to allow artists to risk their own lives, letting them see what our soldiers are living through. That way the work they produce can have the power to trouble our souls.